Nordelec Developments (Phase I) unveils its three-level penthouses that will be turned over to their owners in November 2014. 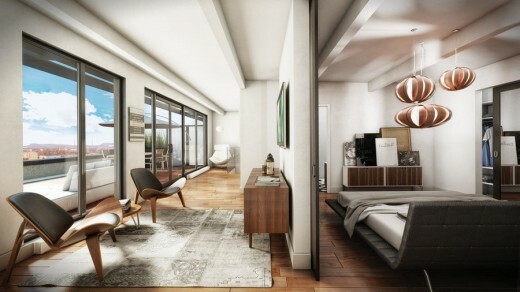 Designed by the Cardinal Hardy architectural firm and whose model penthouse is decorated by HUMA Design, these residences that vary between approximately 953 and 1,951 sq. 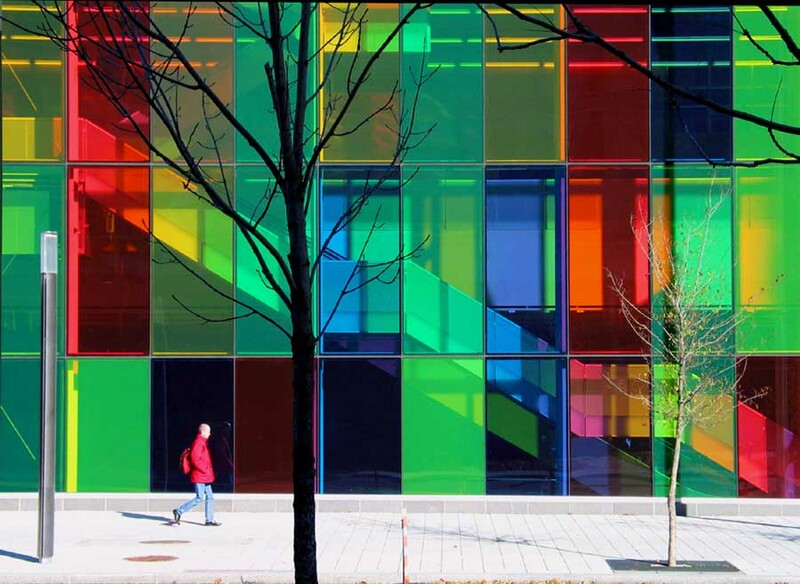 ft. are Nordelec’s jewel, a dazzling reminder of the industrial legacy of Pointe St-Charles in southwest Montreal. Starting Oct. 25th, 2014, interested buyers will be able to visit a fully furnished model penthouse. Perched on the top of this edifice that was built 100 years ago for the Northern Electric Company, these 36 penthouses stand out because of their exceptionally high ceilings that can reach approximately 17 feet in certain areas. 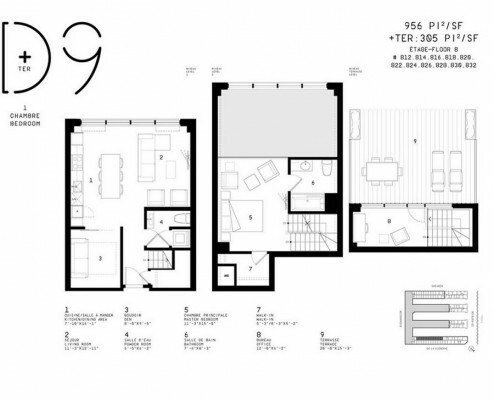 Starting from $442,000, they are designed for bachelors, couples and young families who are looking for the perfect blend of the industrial loft with the characteristics of a modern space. The Nordelec building provides uniqueness and charm, the proximity to downtown and access to the Lachine Canal and Griffintown. On entering the penthouses visitors are captivated by the extensive fenestration that enhances the impression of airiness that continues to build as one rises to the mezzanine level. An inspiring living room on the third level of some penthouses opens onto a private terrace that measures approximately 300 square feet and gives an exceptional view of downtown. 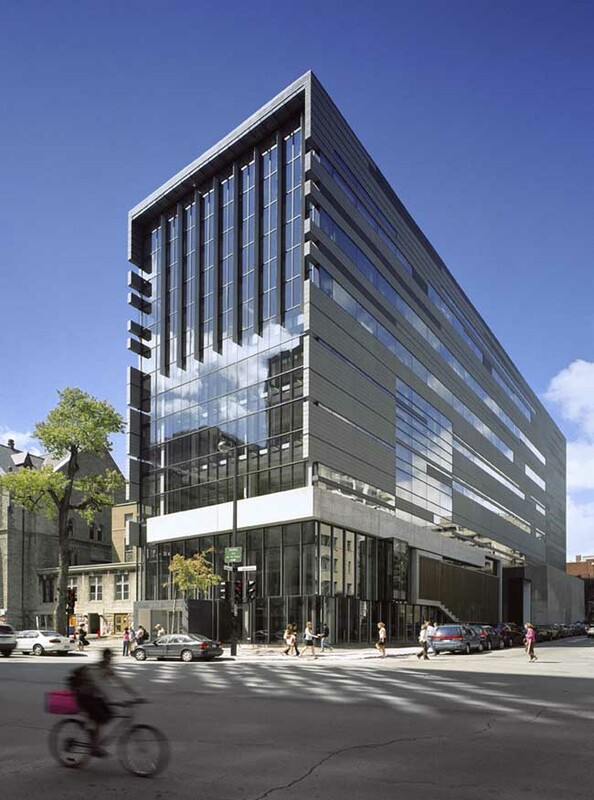 “We worked to create an experience of urban comfort that paid tribute to the neighbourhood’s past and present,” says Aurèle Cardinal, architect at Lemay+CHA and Co-Founder of Cardinal Hardy, the firm that created the Tour des Canadiens, the Redpath Lofts and the Bassins du Havre complex. 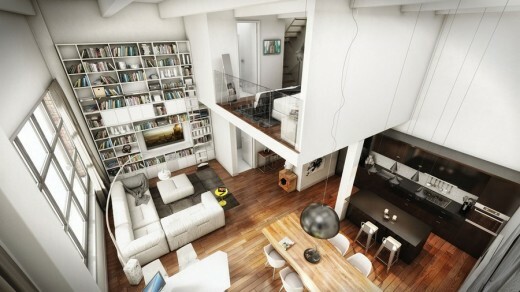 The Nordelec penthouse interiors are creations of HUMÀ Design. The HUMÀ President, Stéphanie Cardinal, wished first and foremost to preserve the soul of the site. “We wanted to take advantage of the spatial elements and the industrial artefacts by adding a stamp of modernity,” says Ms. Cardinal. Our eyes are drawn to the engineered wood floors made of black and white American walnut, the use of copper as a thread and raw steel for certain elements of the furniture. These elements contrast with the shiny materials used in the contemporary kitchen of the penthouses, including black and white thermoplastic cabinets. The quartz countertops also provide black and white counterpoints, while the porcelain backsplash, between the countertops and the cupboards, provide contemporary illustrations of designs from bygone days. HUMÀ Design recently won three awards at the 2013 edition of the Grand Prix of Design. 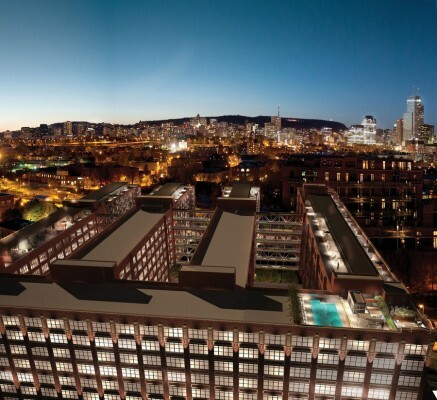 Residents of Nordelec will have access to a spacious urban lounge of approximately 4,000 sq. ft., which is now under construction. This modern lounge will include a fireplace, pool tables, workout equipment and several relaxation areas. 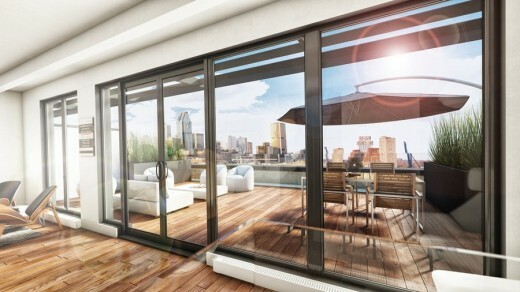 A string of panoramic windows will take up two sides and give those in the lounge an opportunity to contemplate the views of southern and eastern Montreal. 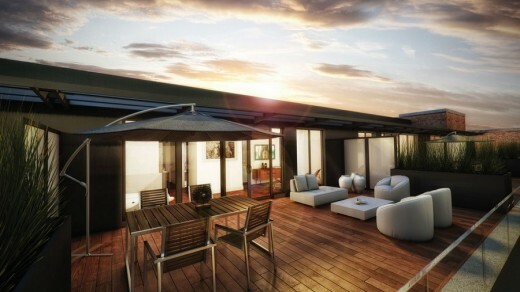 From this lounge, owners will have access to the roof terrace, the location of the outdoor pool. The Nordelec project is enormous. To date, Nordelec Developments (Phase I) has erected a total of 36 penthouses and 67 urban lofts. Phase 2 will see the addition of approximately 135 condos anticipated to be ready for occupancy in the spring of 2015. On completion, an additional 1,131 units are planned for future phases of Nordelec. 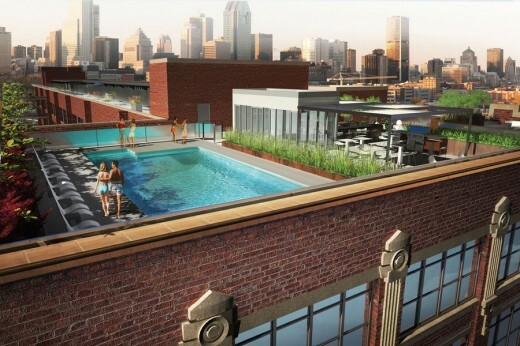 With approximately 20 months of construction time and nearly 200 local contractors and consultants contributing to the construction, this represents a substantial investment by the developer to the Montreal economy. Located in southwest Montreal, Pointe St-Charles Neighbourhood is a booming area because of its accessibility, green spaces and businesses, mainly on Centre, Wellington and Notre Dame streets. Residents of the building and the neighbourhood will benefit from shops planned at the Nordelec concourse level. 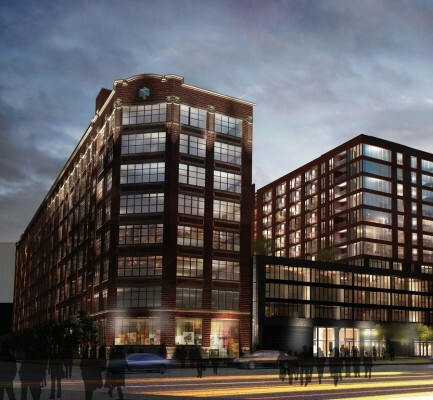 “The redevelopment of the historic Nordelec building is an exciting opportunity to participate in the revitalization of the Pointe St-Charles area,” states Annie Dufresne, Sales and Marketing Director for Nordelec Developments. At its height in the 1940s, the Northern Electric Company employed approximately 4,500 workers. Today, the Nordelec houses hundreds of creative and innovative companies that employ more than 2,000 people. At the end of the planned residential redevelopment phases, up to two thousand other people will also be able to live there. “These new home owners, some of whom have already moved in, will live here and give life to the neighbourhood,” explains Annie Dufresne. We should remember that Elad created Cité Nature project in Montreal (beside the Olympic Village). Promoter: Nordelec Developments (Phase I) Inc.